Airwheel’s leading products, namely intelligent electric scooter , feature fashionable look, portability and innovative green concept, and are designed for the rising transportation market of “zero-emissions, low energy consumption and handy transporter”. Airwheel Technology has been working hard to provide an affordable solution to urban air pollution and traffic congestions. For now Airwheel has rolled out 3 product lines: X-series, Q-series and the S-series which is to redefine the market standard and value. Airwheel Technology aggregates software and hardware research, manufacturing and sales system with our core R&D team formed in 2009 and rich in experiences regarding fields of fuzzy software algorithm, altitude control, dynamic control and robots. Through 5 years of arduous effort, our team has successfully solved 4 major problems in the electric unicycle industry: Range, Heat Dissipation, Safety and Cost. Airwheel Technology boasts over 50 patents and intellectual properties to its name and a complete set of certificates e.g. CE, ROHS, UN38.3, MSDS acquired for every Airwheel models. Every Airwheel unit integrates professional industrial design, top quality parts, rigid quality control and innovative manufacturing process. Supplier: Quality goes first. Airwheel sets up a rigid system to select the best supplier throughout the world, which are all prestigious suppliers. 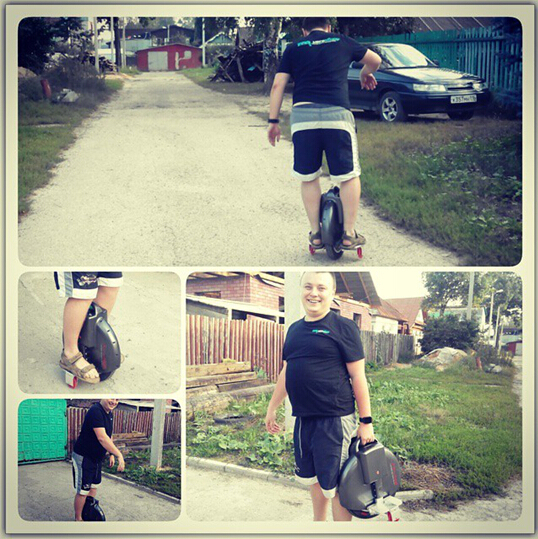 Quality Control: Airwheel builds world’s first quality test lab for self-balance unicycle . The product quality is guaranteed by multiple innovative test procedures and introduction of world’s top equipments. Manufacturing Process: Airwheel is always the first to apply state-of-the-art techniques on the manufacturing process, e.g. fine magnesium alloy processing technique and bionic silica gel, which provide guarantee to safety, quality and deliver humanistic concerns.